A new year means a new you: and new best practices for your maintenance management! CMMS software (Computerized Maintenance Management System) — also known as enterprise asset management (EAM) software and fixed asset management — is stepping confidently into the future. We asked experts in the field of asset maintenance and management what CMMS trends coming years. 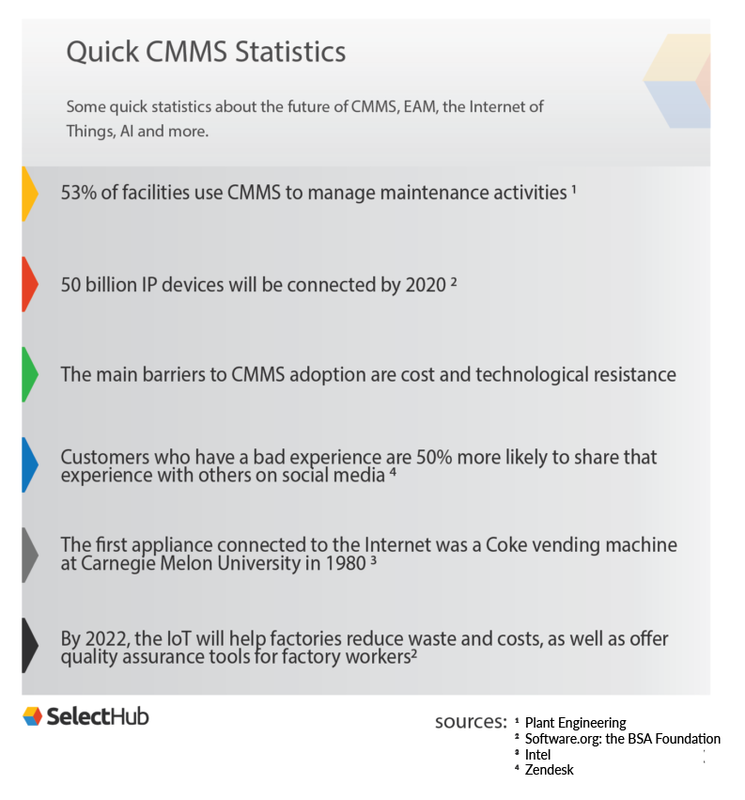 Fifty-three percent of facilities use CMMS to manage maintenance activities. The main barriers to CMMS software adoption are cost and technological resistance, and both are decreasing as time goes by. CMMS and EAM are giving way to a new form of asset management called APM. AI and the IoT are going to have a huge impact on how organizations manage their assets. To stay competitive, both CMMS vendors and organizations utilizing CMMS will have to be adaptive and innovative in coming years. We threw a lot of acronyms at you right off the bat, so let’s clear them up a bit first. CMMS, computerized maintenance management software, does what it sounds like — it manages your maintenance. This can include vehicle and fleet management, facilities management, plant management, property management and more. It offers users a range of features and functionalities that allow you to schedule preventive maintenance instead of repairs to keep your assets running as they should. CMMS is an older term for the field of maintenance management; EAM and fixed asset management perform the same functions under different names and are the more modern iterations of the idea. CMMS is typically considered to be less comprehensive in its offerings and focuses almost solely on maintenance, whereas EAM software offers a wider range of asset management functions. We’ve written an article that breaks down the differences between EAM and CMMS if you want to go deeper. As we become more technologically savvy as a society, every nook and cranny we occupy does the same. Maintenance management has come a long way from punch card schedules, and the importance of CMMS can’t be understated. What was once a luxury is now a necessity. “Maintenance departments have been slower to adopt [asset management technology], and I think this is largely because maintenance is viewed as a cost center. Therefore, budgets were not made available to purchase software regardless of the return they promised. Moreover, traditional CMMS systems were much more expensive and cumbersome to use. So it was easy to reject. This perceived complexity keeps many organizations away from purchasing a much-needed maintenance system because they’re worried it will be too difficult to learn. This fear isn’t always unfounded — in our 2018 survey, we found that of the buyers questioned, three percent were looking to downsize from a CMMS that was too cumbersome. That three percent may not seem like much, but those unhappy users spread their dissatisfaction. Here’s a statistic to back it up: according to a Zendesk study, customers who had a bad experience are 50 percent more likely to share that experience with others on social media than those who had a good experience. Businesses unhappy with their current CMMS platforms tend to generate bad reputations for their vendors, as many businesses were not properly trained or were upsold a product they didn’t need. Buyers should beware these issues when choosing a CMMS, especially for the first time. As Jerry says, the proliferation of data and the advancement of the tools we use to analyze it is catapulting CMMS into the more technological world of APM. APM allows users to track their assets’ performance in real time, monitoring for potential breakdowns and failures in order to stop them before they happen. This proactive approach to an already preventive technology will allow users to significantly decrease their losses due to unexpected asset failures. 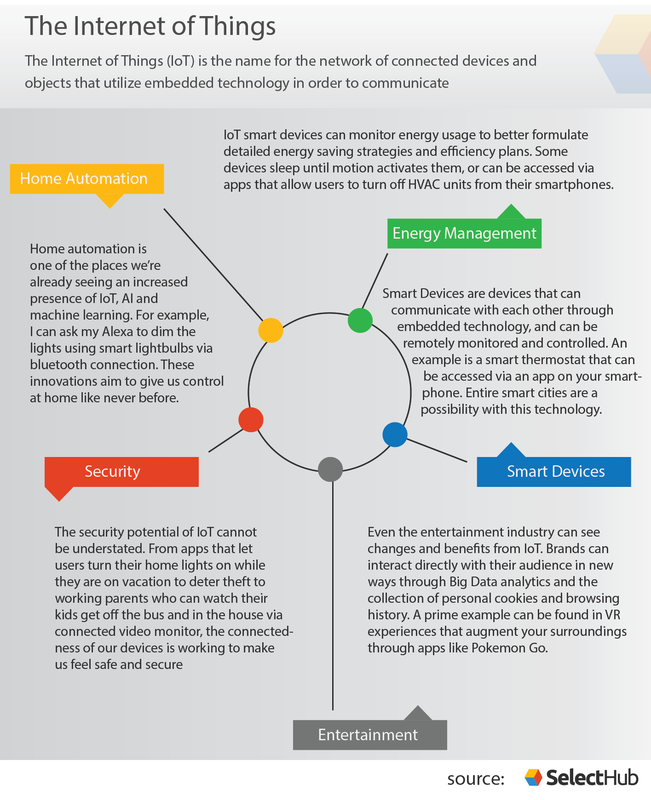 The goal of increased IoT integration and autonomy is to collect better data as well as more of it. This gives users the power to make data-driven decisions aligned with long-term goals. IoT and AI will develop hand-in-hand as they both become more sophisticated and integrated into the fabric of our society. Customer-centric business practices are on the rise in every industry, and CMMS is seeing the same trend. Happy customers come back, so it’s really a no-brainer for creators to cater to the needs of their client base as they develop new products for asset maintenance. Our experts say that adaptation, flexibility and innovation are what will set CMMS companies apart in the future. Their predicted trajectory for CMMS technology reflects these values and a spirit of improvement and evolution. AI and the IoT will become present in everyday operations in a big way, making asset management easier and more efficient for users as APM comes into its own.  Customer care is key, and customer choice is equally important when it comes to choosing how to improve CMMS products. The verdict is in, and the future is bright! Jerry Browning is the Senior Solution Consultant for IFS in North America. He is a service management specialist and IFS’ main R&D resource for North America. He writes for a variety of maintenance and software publications. IFS offers robust EAM and ALM solutions for a range of business sizes and specialties. Debby Mininni has spent her professional career focused on people. A people first perspective has helped her to focus on matching quality MRO software solutions with the right customer requirements. As CHAMPS Software’s Business Relationship Manager she is proud to have forged lasting relationships with customers, colleagues, and partners alike. She looks forward to exciting innovations in the CMMS/EAM marketplace and the new relationship opportunities they present. Daniel Golub is the General Manager at Hippo CMMS, a Canadian-based software company that offers maintenance solutions to over 1,000 businesses in manufacturing, hospitality, municipalities, healthcare and more. Daniel has been with Hippo for more than seven years. He has an MBA in International Marketing and HR from National Cheng Kung University in Taiwan. Steven Kyriakidis is the Product and Support Manager at Maxpanda CMMS. Maxpanda is an affordable web-based CMMS solution with flexible subscription pricing. Specially designed for non-profits and SMBs, Maxpanda lets you start small and grow big.